DO YOU MISS the Spice Girls? We do. And even more so now we’ve seen this. 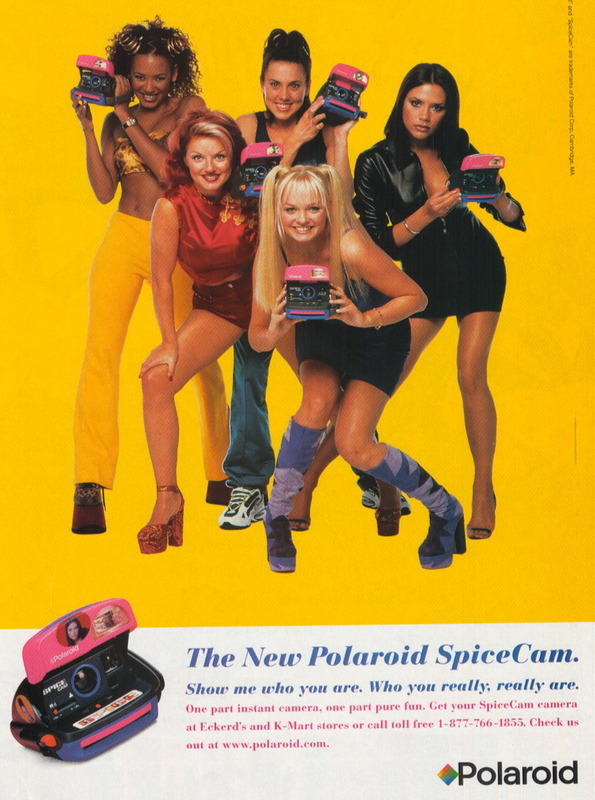 A clip has emerged of the making of a 1997 ad for the Spice Girls’ Polaroid camera, which was set at a strict girls’ boarding school. That’s such an easy cop out… You should know better by now, shouldn’t you. The video has been going super viral since it was unearthed by Twitter user @I_Dont_Know_Her, and it’s reminding everyone of how much they loved the gals. Patiently waiting for you to spice up our lives again, Girls. Email “This old clip of the Spice Girls calling out a director asking for cleavage shots is brilliant”. 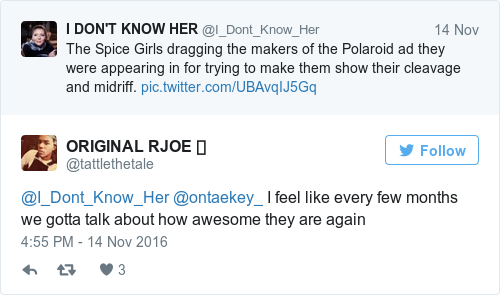 Feedback on “This old clip of the Spice Girls calling out a director asking for cleavage shots is brilliant”.